105 mins. Rated PG-13 for intense and frightening sequences of action and violence. Rise of the Planet of the Apes came out of nowhere. Seriously. Who would have thought that his franchise was coming back in such a big way. 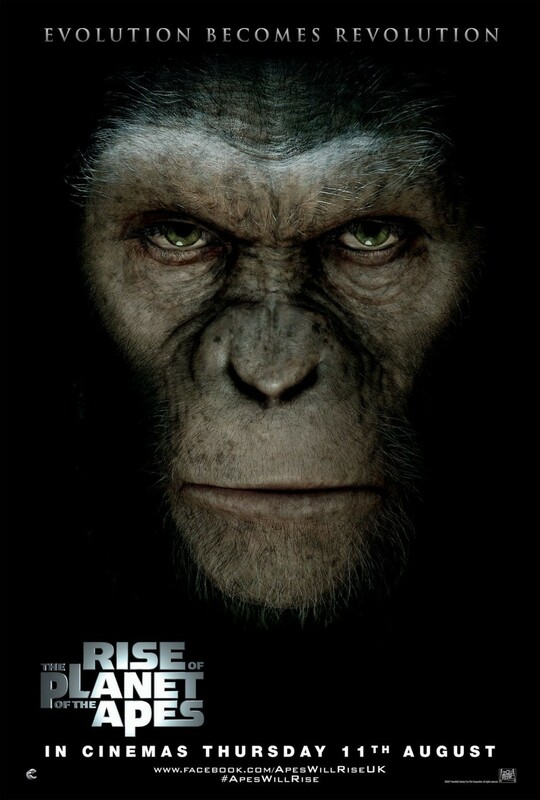 After a fizzled-out franchise of films and television series, a failed remake from director Tim Burton, and a decade of silence, Rise of the Planet of the Apes just sort of showed up, and I’m thankful it did. Will Rodman (James Franco, 127 Hours, The Interview) is trying to cure Alzheimer’s. His father Charles (John Lithgow, TV’s 3rd Rock from the Sun, Interstellar) has the condition and it is accelerating. The current possible cure is ALZ-112, and Will is in the process of ape testing. When Bright Eyes, Will’s star test subject, tragically passes after complications with the substance, Will comes across a baby chimp in her cell, her recently born son who comes to be known as Caesar (Andy Serkis, The Lord of the Rings: The Fellowship of the Ring, Arthur Christmas). Will takes Caesar home and trains him, as Caesar was born with ALZ-112 flowing through him, making him progress at an alarming rate. 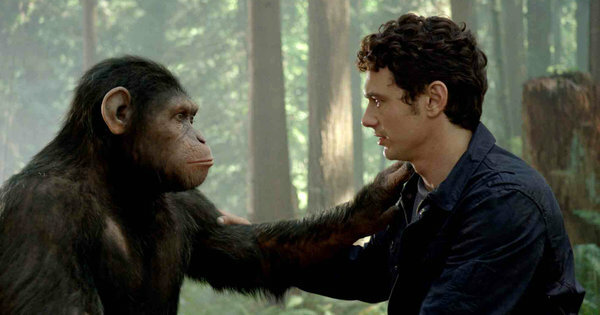 As Will’s life becomes more and more complicated through his illegal theft of the chimp, Caesar becomes more and more aware that this world is the world of humans, not apes, and he wants to change that. The plot of this movie nicely takes real-world problems and a franchise decades old and revives it for today’s world without tarnishing the story that came before (to be noted, this is a reboot and kind of a prequel to the original film and not the Tim Burton remake). It takes the problems that we are dealing with and forms it into a cohesive and interesting bit of science fiction. Franco’s performance isn’t the strongest in the film, I didn’t really believe him to be smart enough to synthesize a cure for Alzheimer’s. Then again, he doesn’t. Altogether, it is his relationships in the film to Caesar and his father that build the warmth for these characters. Andy Serkis is the winner of this film and deserved top billing for the film, as without him, the impact would not have been felt as much. His nuanced and subtly tragic work as Caesar is beautiful, and the digital effects work only furthers an already incredible performance. The way Caesar interacts with John Lithgow’s character provides us with a slightly warped but wholly touching American family. The screenplay, from Rick Jaffa and Amanda Silver (The Relic, Eye for an Eye), does a nice job of not creating villains, there are very few villains in this film and it allows you to understand many of the core characters internally and empathize with their choices. Rupert Wyatt (The Escapist, The Gambler) behind the camera also provides a lush environment of great camera work, and the flow of the film is very smooth. I just needed to end on the CG work, which sought to work together with their motion capture performers to create characters as opposed to just creating stock but cool looking apes. It deserved its nomination to be sure. 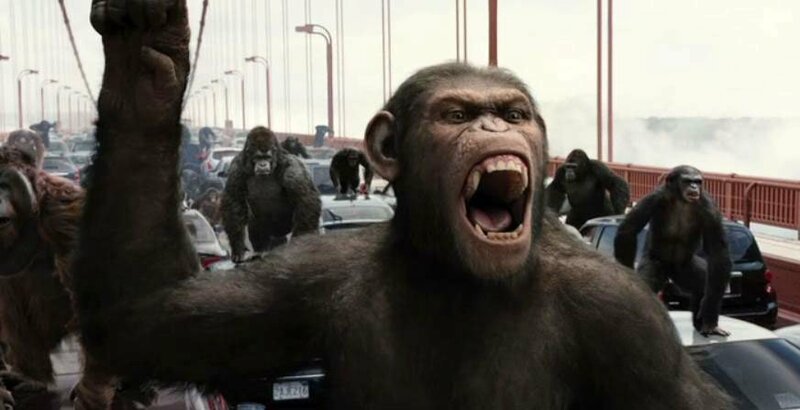 Rise of the Planet of the Apes is a great way to jumpstart a franchise, and should serve as a course on how to reinvigorate a property rather than just churn out a remake. Bravo.